Our English as a Second Language classes are skills-based, with an emphasis on authentic English skills relevant to daily life. 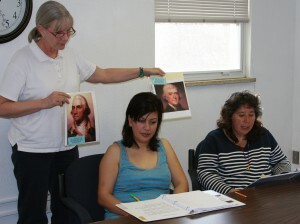 Classes are appropriate for individuals with a beginning level of English. Our citizenship course prepares participants for the USCIS naturalization interview. Students will learn the information necessary to answer all civics questions that may be asked during the interview, and will also receive assistance filling out the N-400. Additionally, students will learn the English necessary to pass the interview. Our Cooking and Nutrition classes focus on teaching families how to prepare healthy meals on a budget. Students will learn how to include the five food groups into their diets, prepare healthy recipe and save money on groceries. Additionally, participants will leave every class with all groceries necessary to prepare the meal they discussed and prepared in class. 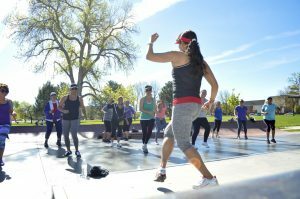 Zumba is a fun and high energy fitness class that engages participants in dance and aerobic exercise to promote total body fitness. Classes are taught by a licensed Zumba instructor. This exciting fitness class helps participants have fun while exercising. Circle of Parents is designed for parents of children of all ages. The class is facilitated by an experienced psychotherapist who talks to participants about their children’s social and emotional development. Participants also gain new skills related to understanding and responding to the various issues that may arise in parenting. Childcare is offered simultaneously with this program.